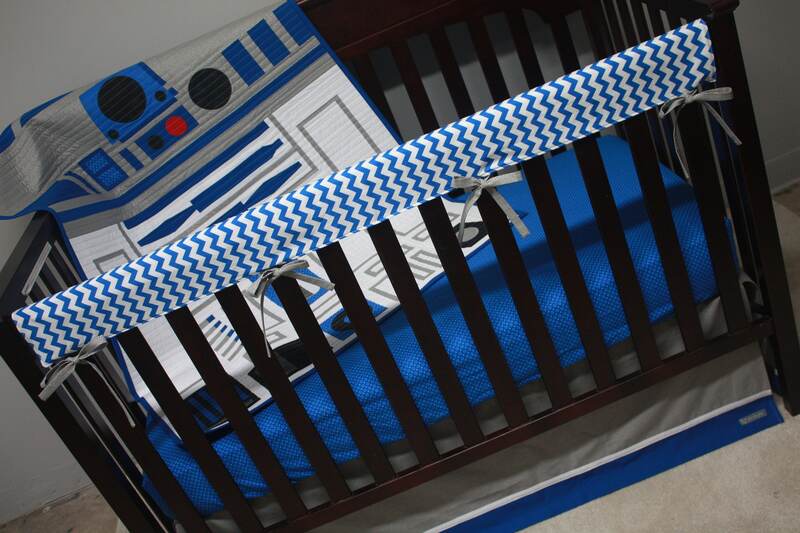 There was an epic crib set made for an epic film series. 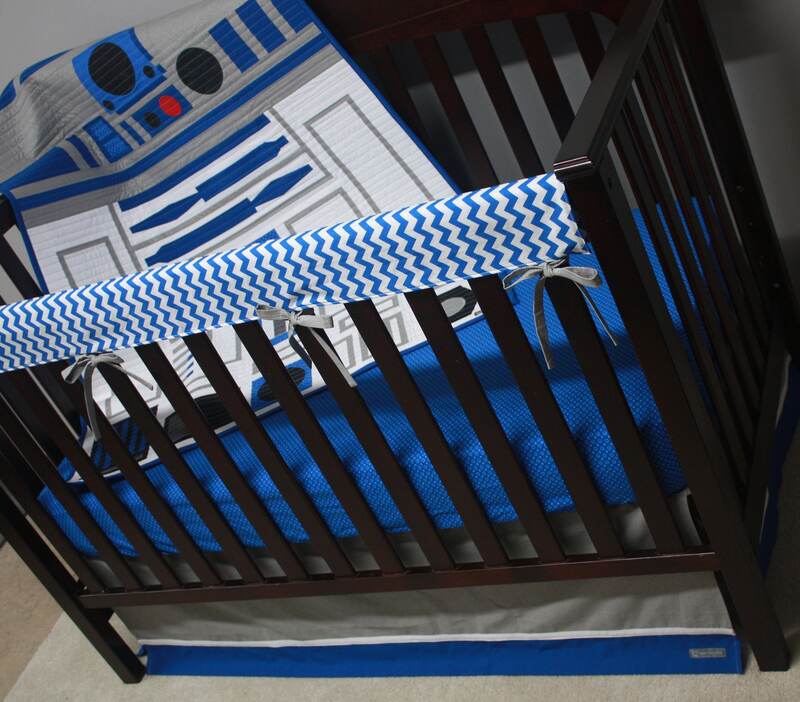 Just kidding, this crib set is made to order. It is almost entirely patchwork aside from a few appliquéd bits here and there. The dome is made with a nifty metallic dot fabric that perfectly accentuates the dome of R2-D2 while all of the other colors bring R2-D2 to life. 100% cotton fabrics are pre-washed in baby safe detergent. *One long(51"x11") blue and white chevron rail guard with low loft cotton batting and 4 sets of 14" long silver metallic dot ties. This quilt and quilt pattern is designed and created by me. This set is completely customizable. If there are any changes you would like to make to this set, always feel free to message me. Please allow 6-8 weeks for production time prior to shipping. *Note: Although your crib may meet the US 'Standard', the crib deck (platform that holds up the crib mattress) can vary in size, width ranging from 50" - 51.5"depending on the crib brand, model, etc... To ensure that all seams are concealed, I make crib skirts to the dimensions indicated above. Please let me know if you need a different size. **Note: Although your crib may meet the US 'Standard', crib types may vary by height, width, and depth depending on the crib brand, model, etc...I make crib bumpers to the dimensions indicated above. Please let me know if you would like a different size. 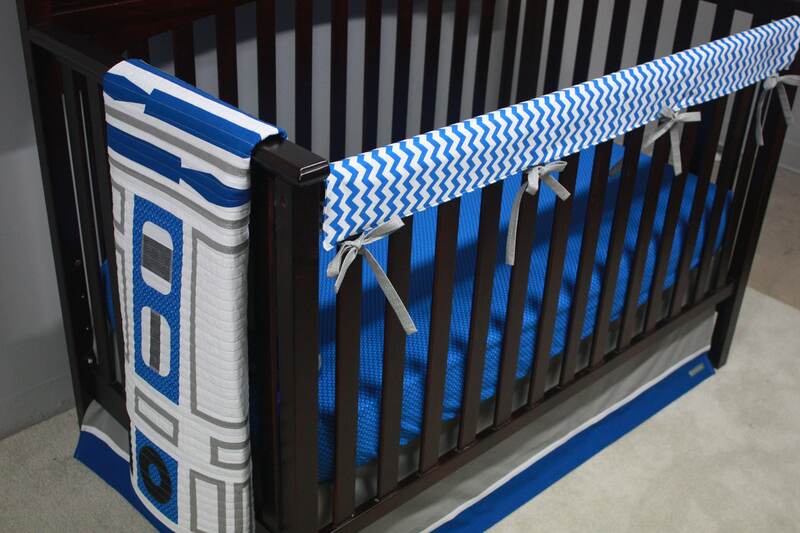 I love this crib set. Amy did an amazing job getting this to me before my due date. Unfortunately my little one decided he was coming 3 weeks early! The quality and craftsmanship on the quilt is so beautiful and everyone who sees it is blown away at how awesome it is. Well worth the money spent on it! 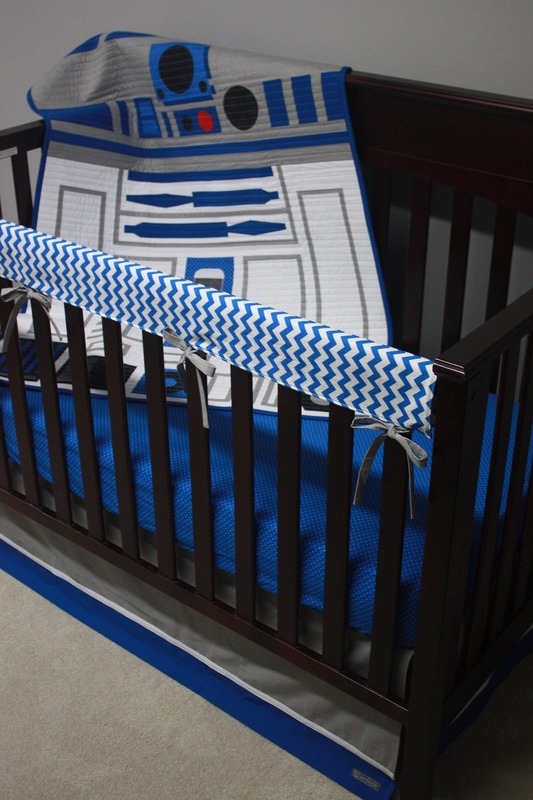 Thank you Amy for making my son's Star Wars room come together!